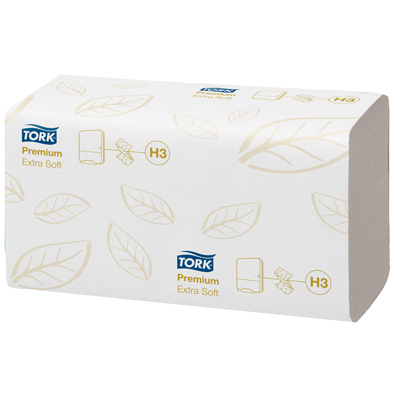 Developed to offer the best quality for your money, our Tork Premium Zigzag V Fold Hand Towels are perfect for all work environments. Each sheet has an embossed finish to add extra volume and comfort for the softest touch against your skin. They are highly absorbent to cut down on hand drying time and also ensuring the quick clean up of spills or soils. The V fold design allows you to remove a single tissue with ease, thereby reducing waste in your business and increasing the hygiene of each sheet. Designed for your convenience, this large pack uses the time-saving Tork easy handling packaging with its ergonomic design. This makes it simple to open, flatten and carry away.